12+ Seeds. Annual flowering vine. A very unusual Japanese morning glory! 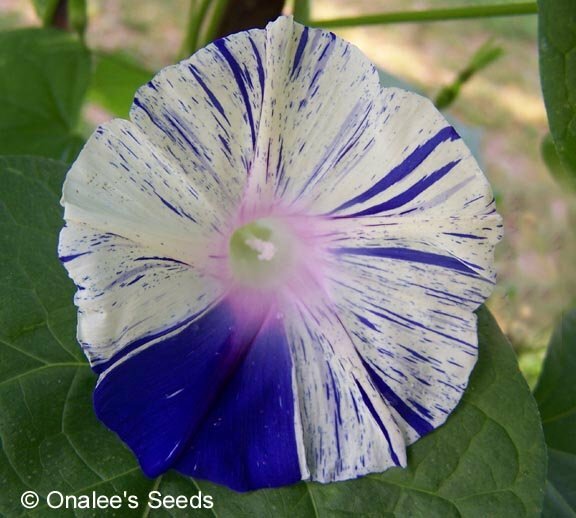 Dark Purple stripes and streaks on a white background adorn these large flowered Japanese Morning glories! Each flower is different and unique - you get a new show every morning all summer long! 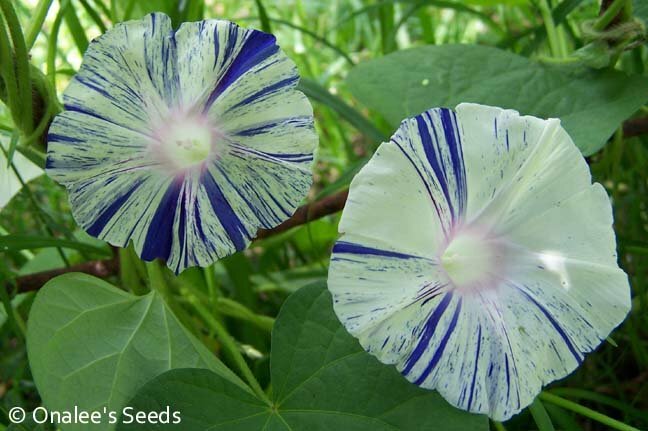 JAPANESE MORNING GLORY SEEDS (Ipomoea purpurea), 12+ seeds per pack. These are annuals that will self-seed in most zones, or you can save seeds to replant in subsequent years. These were garden grown and are naturally open pollinated, so there is a slight chance of cross pollination, but I've had good results with these coming true to the originals. I don't grow other morning glories near them, which greatly reduces the risk of cross-pollination. 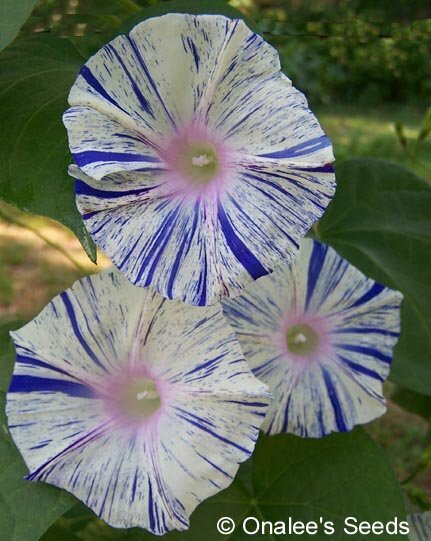 These are medium-bloomed Japanese Morning glories with dark purple steaks and stripes on a white background - each flower is unique! You won't find these growing next door! 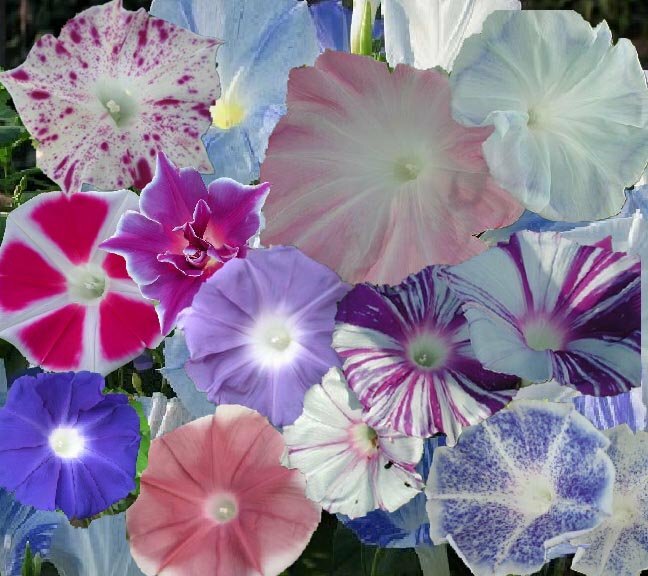 A great addition to any morning glory garden with their unique flowers - each one is different and everyday during the summer brings a new show! Shibori = tie dye, traditional way to make one of a kind patterns on cloth for Kimonos by tying thread and then dying the fabric.